New Icarus Project meetings in Eureka! You can direct questions to northcoast.icarus@gmail.com temporarily, but there will be a new email address soon. 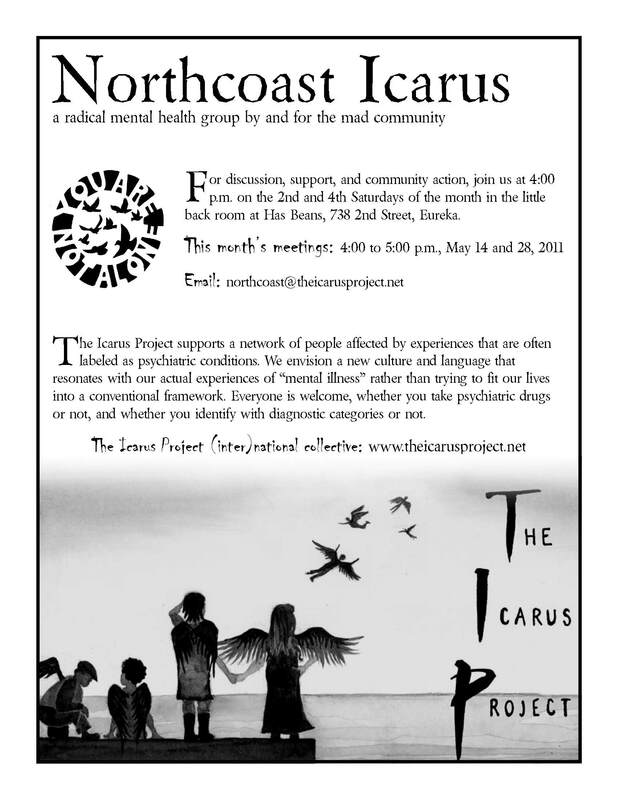 To learn about the Icarus Project is, check out this website! Spread the word to people who might be interested!